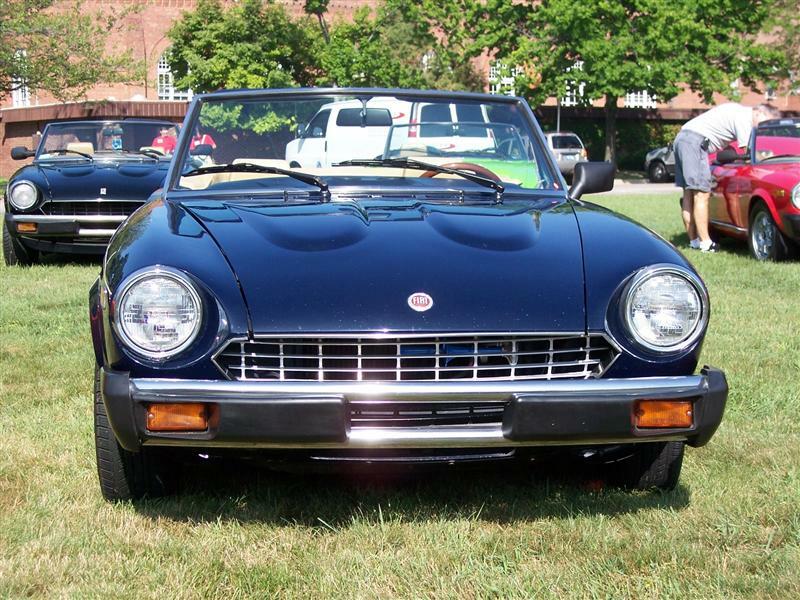 The new Series II kits for Fiat 124 Spider and Spider 2000 provide modern braking for cars using the popular 13" alloy and steel wheels. At the same time these kits allow for the upgrade to the larger Pininfarina rotors with no other changes but the rotor and use of our hanger extension kit. The kit uses the Wilwood Powerlite 4 piston radial mount calipers. 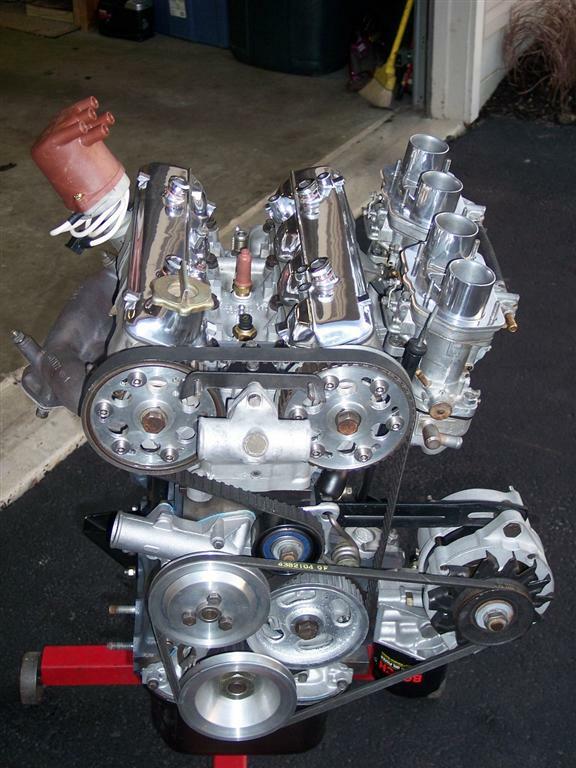 These new Wilwood offerings are very light weight and have a very low profile. The were designed for smaller wheels. Caliper piston size is the same as the Series I so there is no degradation of stopping power with Pininfarina rotors. Purchasers can start with the basic kit which utilizes the standard Fiat 227mm rotor and fits ALL 13" steel and alloy wheels. The kit included black anodized CNC machined hangers, DOT compliant hoses, hardware and instructions. Three choices of pads are available. The BP10 is the standard kit pad and is an all around street and autocross pad . 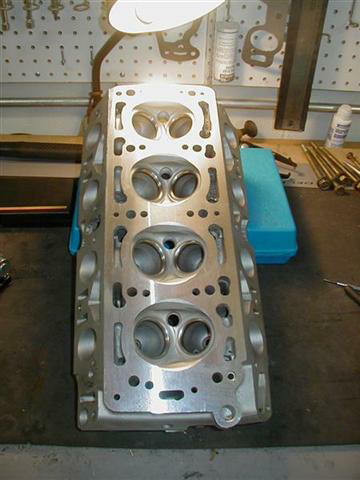 The BP20 which matches the low end characteristics of the BP10 and meets racing requirements is available as an extra. Finally, my favorite, Polymatrix-Q ceramics. These are a GREAT street pad and have the benefit of low dust and low noise. The kit requires our special 5 inch diameter spacers. These are included when you order a 13" wheel kit. For those with the 14 inch and larger wheels there are our Pininfarina standard or drilled and slotted rotors if you seek the top level of performance. No spacers are used with the larger rotors . The hanger extension kit is is included as part of the 14" wheel kit. The 14" kits will accommodate the Lancia Beta 8 spoke wheels that seem to be popular on other Italian cars. For those who start out with the 13" kit and later add 14" wheels to their 124, all that is needed to upgrade to the larger Pininfarina or performance rotor is the rotors and the Whoa! Brakes caliper extension kit that contains two spacers and longer caliper bolts. WHOA Brakes front brake products are sold in kit form. Basic kits contain all the necessary components to complete the front brake installation except for rotors. Components include Wilwood calipers, Smart series pads, anodized CNC machined billet caliper hangers, DOT stainless steel hoses, hardware and installation instructions. Series II kits use stock rotors for 13 " wheels or Pininfarina or competition rotors for 14" wheels. 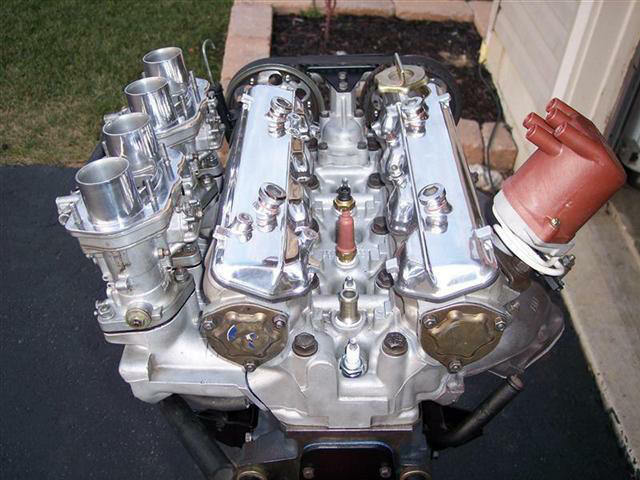 Series II kits should be ordered as 13" or 14 " to get the proper spacers or hanger extensions. 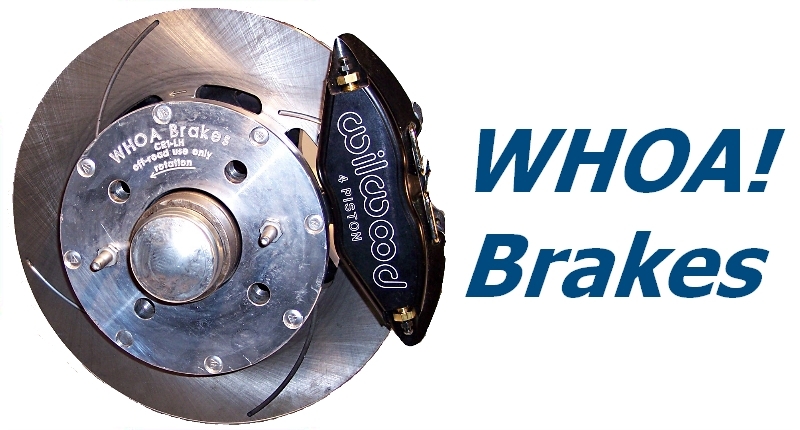 We do not offer rear brakes. Pads can be substituted in any kit for an additional price. See just how easy it is to change pads on the Series II 124 Whoa! Brakes! For Fiat 131 models, only the Series I kit is currently available. The Series I kit requires 14" wheels and either the larger Pininfarina or drilled and slotted rotors. 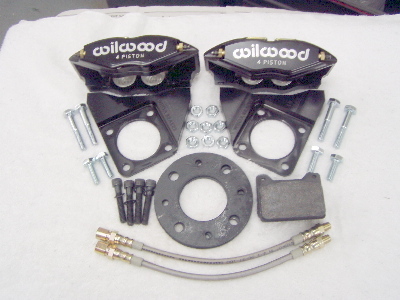 Series I kits utilize the Wilwood Dynalite 4-piston caliper. All Prices are in U.S. currency and subject to change without notice. Customer pays all freight & insurance charges except as noted. Fiat and Lancia cars were equipped with 13 "inch wheels starting in the late '60's and migrated to 14" in the early '80's. All wheels have a 4 X 98mm bolt pattern which is shared with a few models of Alfa Romeo and Maserati. A significant number of aftermarket wheels were also produced for these vehicles. The new Series II kits when used with the standard 227mm rotor will fit any 13" and larger steel or alloy wheel normally fitted to these cars using our special reduced diameter spacer and your current lug bolts. SERIES II KITS, 14 Inch Wheels. As a general rule 14 inch wheels have no clearance issues when our Series II components using Pininfarina or our drilled and slotted rotors. Note that the PF rotor is the same thickness as the stock rotor and spacer combined. In the normal installation your current lug bolts would be the correct length if you currently run the spacer. If not, then you may have to use longer bolts. Bi-Turbo wheels must use 39mm bolts. The use of additional spacers is NOT recommended as it eliminates the hub centric mounting surface..